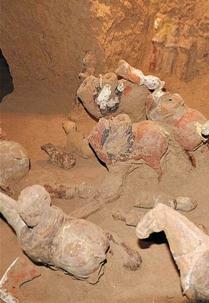 No treasures or complete bones had been found at the site, reports said. 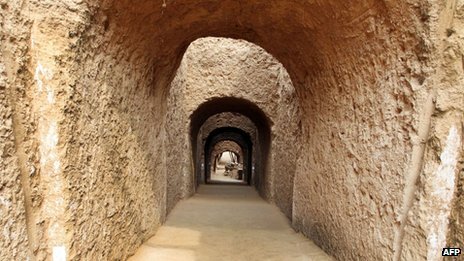 The ancient tomb of a female politician in China, described as the country's "female prime minister", has been discovered, Chinese media say. 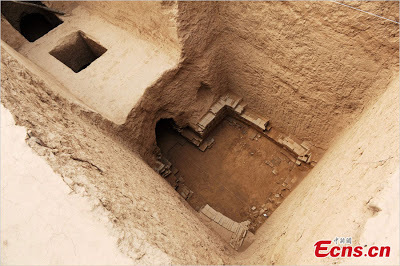 The tomb of Shangguan Wan'er, who lived from 664-710 AD, was recently found in Shaanxi province. Archaeologists confirmed the tomb was hers this week. She was a famous politician and poet who served empress Wu Zetian, China's first female ruler. However, the tomb was badly damaged, reports said. 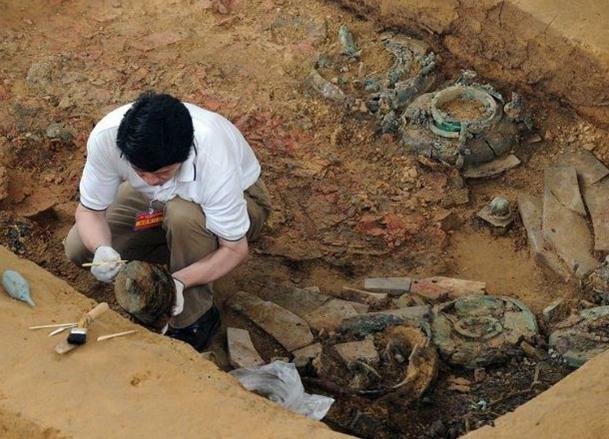 The grave was discovered near an airport in Xianyang, Shaanxi province, reports said. 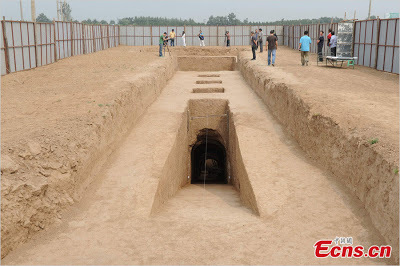 A badly damaged epitaph on the tomb helped archaeologists confirm that the tomb was Shangguan Wan'er's, state-run news agency Xinhua reported. Experts described the discovery as one of "major significance", even though it had been subject to "large-scale damage". "The roof had completely collapsed, the four walls were damaged, and all the tiles on the floor had been lifted up," Geng Qinggang, an archaeology research associate in Shaanxi, told Chinese media. "Hence, we think it must have been subject to large-scale, organised damage... quite possibly damage organised by officials," he said. Shangguan Wan'er was a trusted aide of Wu Zetian, who ruled during China's prosperous Tang dynasty. She was killed in a palace coup in 710 AD.